Join us as we welcome Rabbi Jonah Pesner to Tzedek Shabbat on November 30! 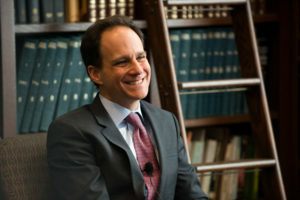 Rabbi Jonah Pesner is the Director of the Religious Action Center of Reform Judaism. Rabbi Pesner also serves as Senior Vice President of the Union for Reform Judaism, a position to which he was appointed in 2011. Named one of the most influential rabbis in America by Newsweek magazine, he is an inspirational leader and tireless advocate for social justice.